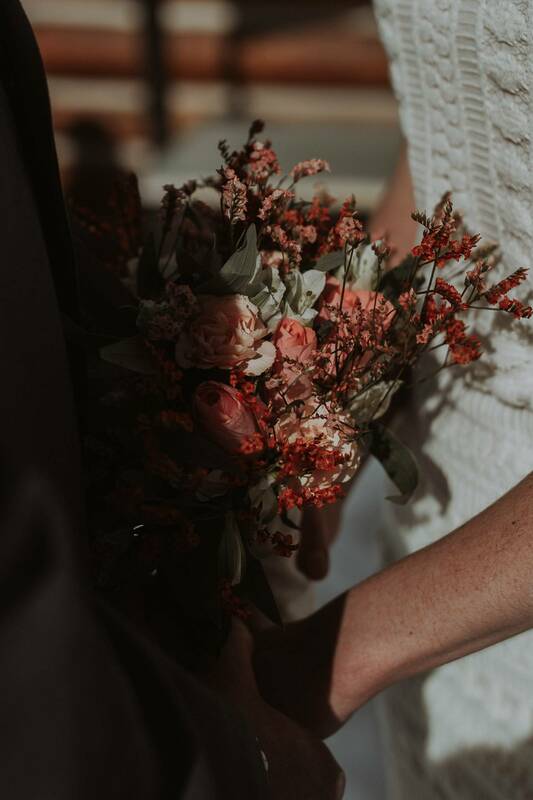 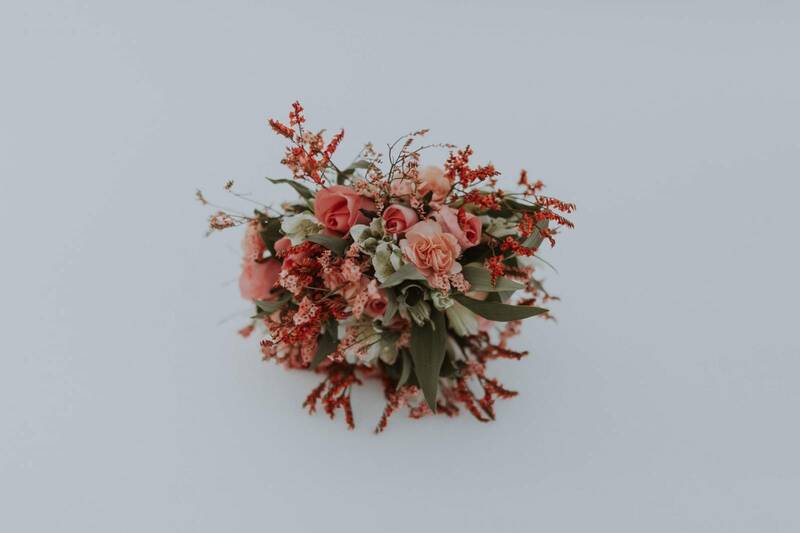 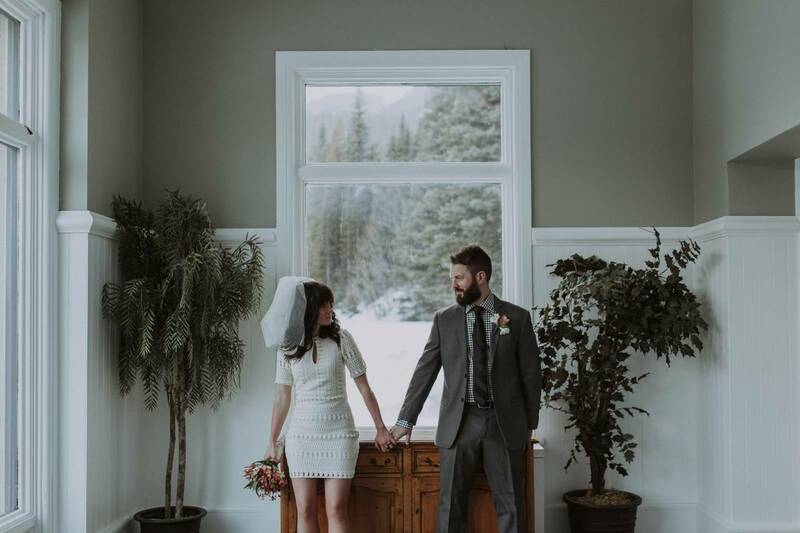 We know it's summer and everyone is excited about the smell of fresh flowers and breathing in warm air, but many of our readersare in the throngs of planning their winter wedding or deciding on when to hold their wedding and this Lake Louise elopement is inspiration for all of them. 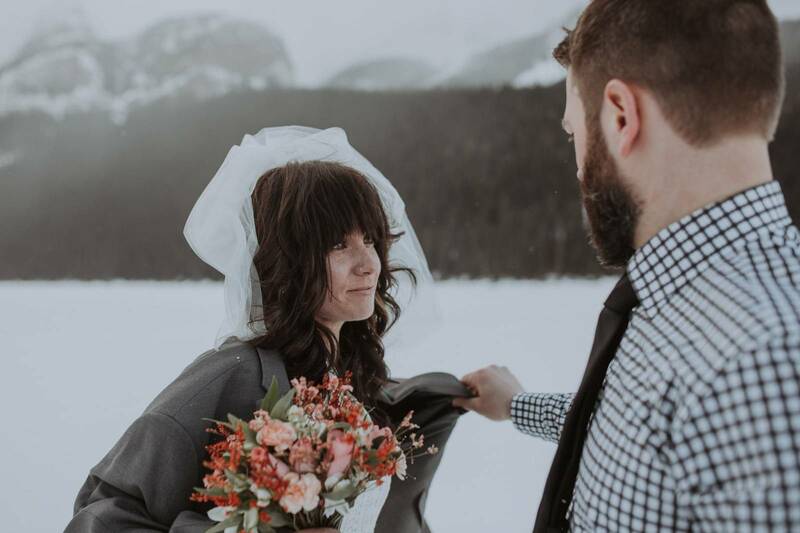 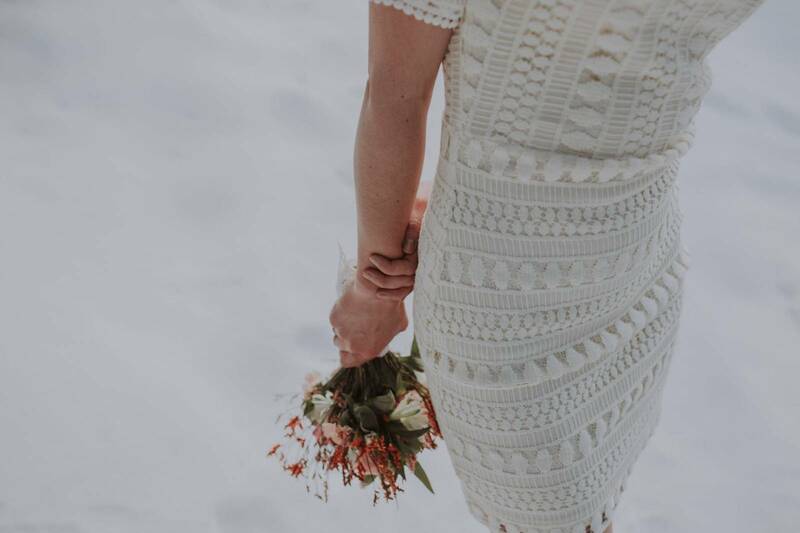 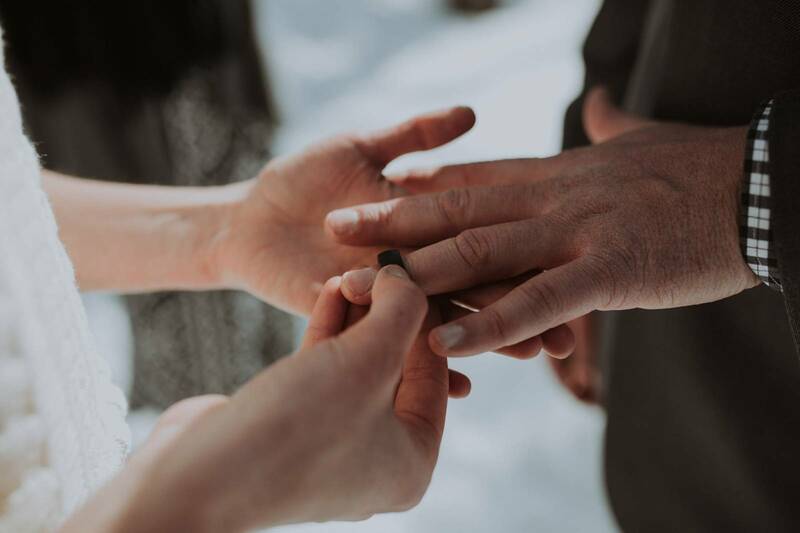 Although, let's be honest, Lake Louise is magnificent anytime of the year and we can really never get tired of the beautiful snow covered mountain peaks or the incredible romance of an elopement. 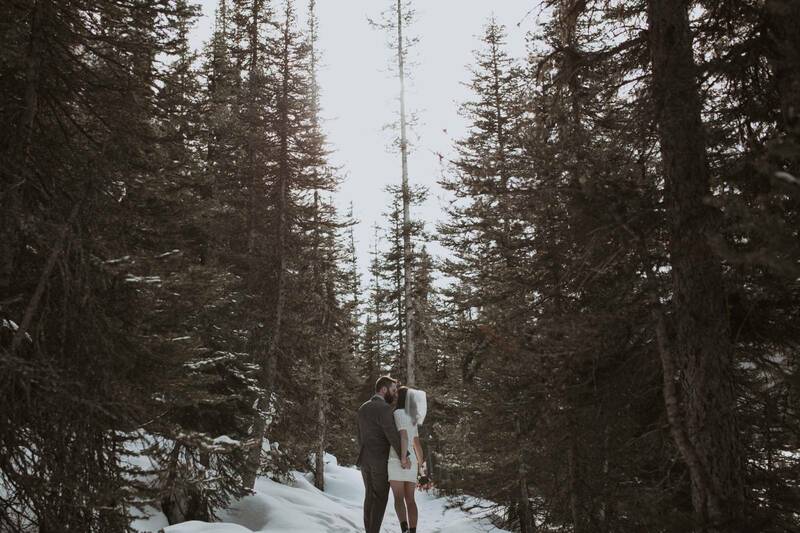 Today, Lake Louise wedding photographer, Kingdom Come Photography is letting us in on a beautiful, intimate winter elopement at Lake Louise. 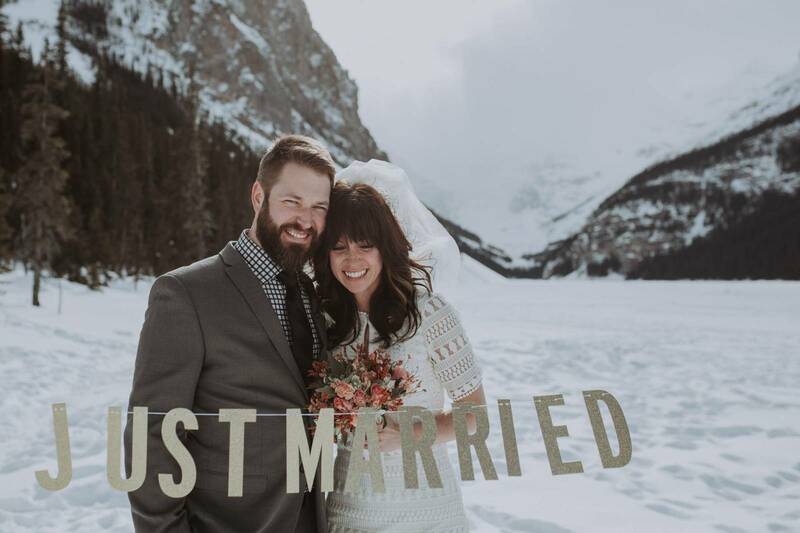 These two knew eloping was the perfect wedding for them and that the beauty of this incredible castle set against the Rockies was perfection. 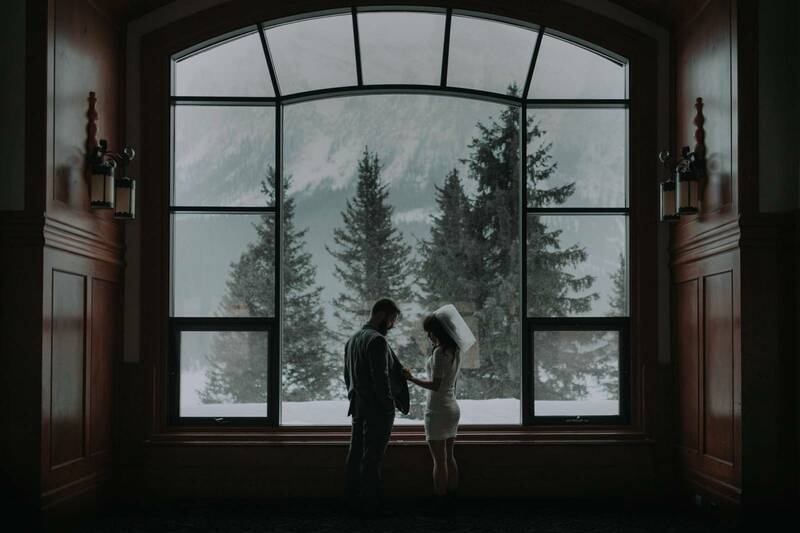 After a private ceremony (we're not divulging all the photos to keep that beautiful moment their own) this gorgeous couple braved the outdoor for some incredible photos taking in the mountain vistas and then wandered throughout the Chateau Lake Louise where they could take photos in the warmth and beauty of the castle. 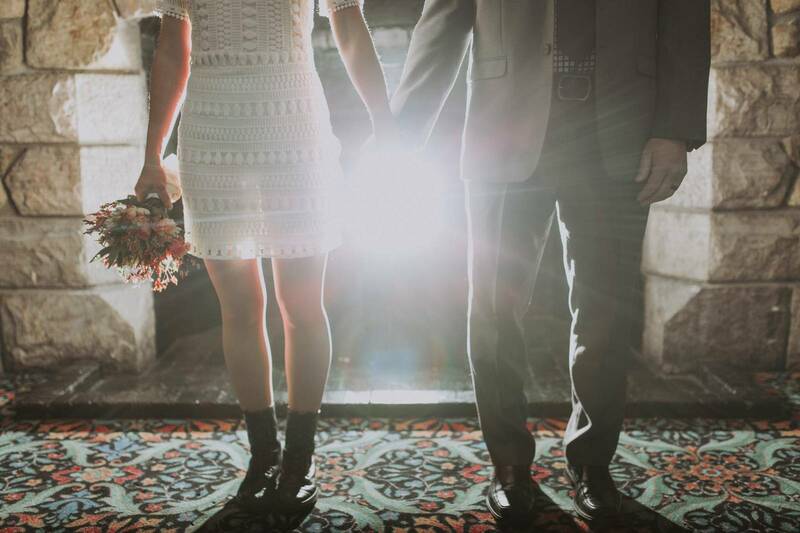 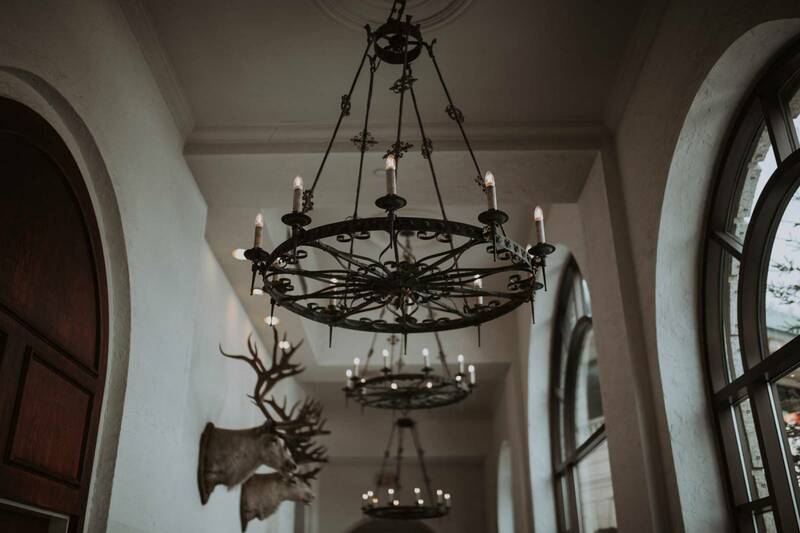 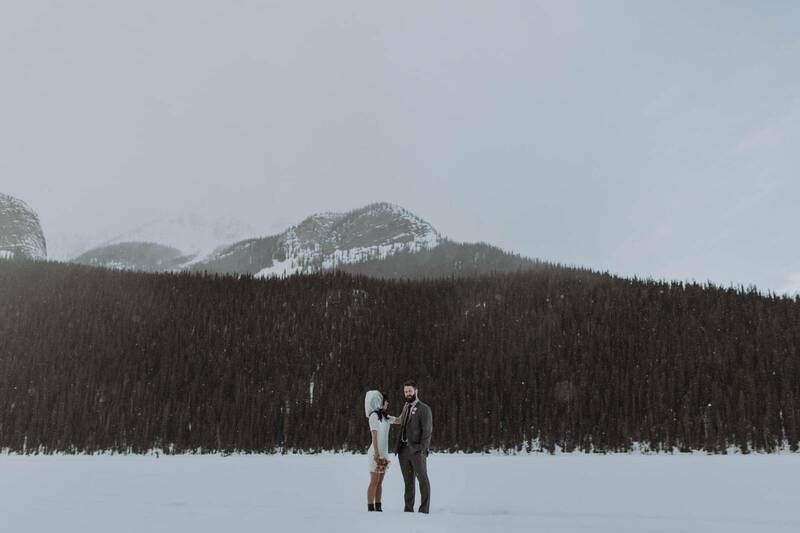 Kingdom Come Photogprahy (Lake Louise wedding photographer) captured their style and love with bold, modern and beautiful images that have us completely in love with this elopement. 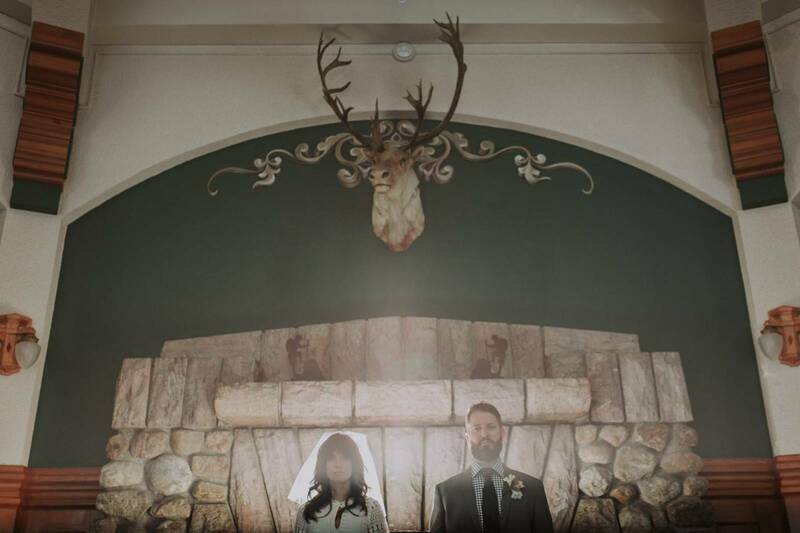 Kingdom Come Photography is a member of our recommended mountain vendors and we love his unique photography style. 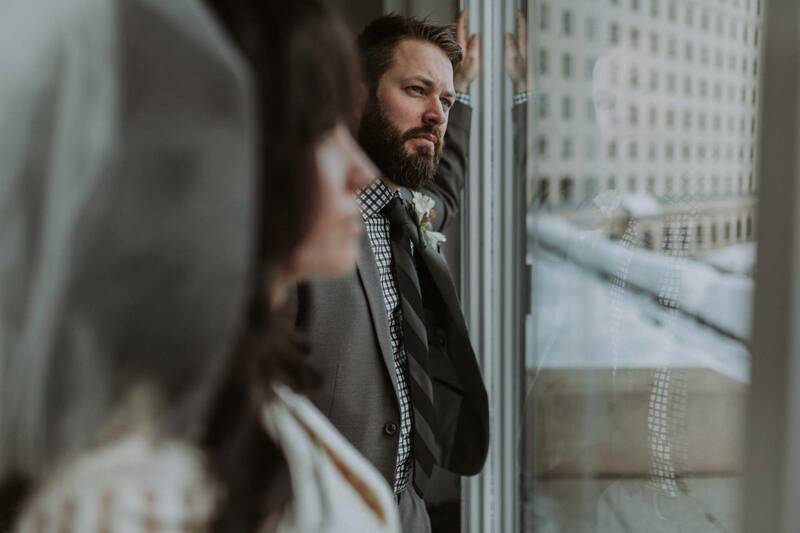 You can find out all about him in this interview and see all of the gorgeous images of his we've featured here. 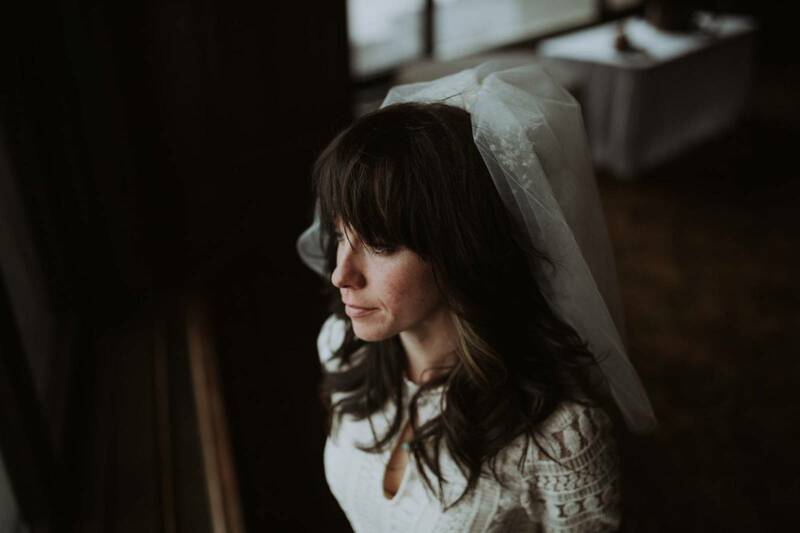 Don't miss this amazing Lake Louise wedding photographer!